Each proton, neutron and electron have an “empty” center. This “void” is only empty of matter because it is full of plasma, full of energy; the energy level is so high that no matter can exist there. All living beings and mineral entities make up the Earth. We said that the vacuum in the centre of each proton/electron is occupied by plasma. Plasma is equivalent to soul. A proton, an electron and a neutron – each entity has a soul. With each more complex step, the souls of the components unite into a new collective soul. The souls of protons, neutrons and electrons unite in the collective soul of the atom. The same thing happens at each step towards more and more complexity. Each of the cells of our body is composed of all the souls of the molecules that compose them; and they create the soul of the organ in which they are organized. Then our body has a collective soul made up of all the soul organs, soul cells, soul molecules etc… not to mention that our body contains more microorganisms than cells; which are added to the same dance! The movement of components towards more and more complexity does not stop there! The souls of all human beings organize themselves into the collective soul of Humanity. And event that is not the end: the souls of all living beings ( and there is nothing non-living anywhere in the Universe) create the collective soul of the Universe. And all Universes unite their souls in the collective Omniverse. 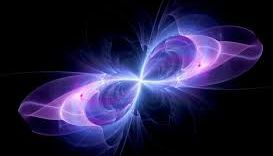 The soul of the Omniverse was previously called the soul of the Creator or God. Remember that souls are not organized in a hierarchy. Hierarchy is a purely human invention. Everything in Nature is organized in fractals: an ecosphere in another ecosphere in another ecosphere in another ecosphere in another ecosphere… This form of organization does not say that the Omniverse is the head that top-down, but rather that each component follows the Universal Principle. Every part is interrelated and takes care of the overall homeostasis (equilibrium), thereby finding it’s own equilibrium. Each part finds it’s balance within the equilibrium of the whole. Collectively, we form the soul of the creator and each of us has a position in this structure of the Life of the Universe. We appear in different forms as planets, humans, animals, other creatures in the Universe, but in total we are part of the same body. Therefore, what we call self is not our personality, but our Soul, the Soul of the Creator. Nevertheless, our mind has the freedom to reduce our divine and infinite self to our personal mind or our body. 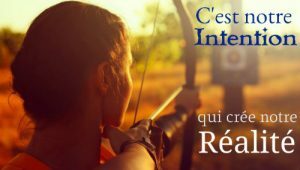 Everything depends on us: we can live an eternal life in total freedom, omniscient and all powerful – or we can dream a life that will end with the death of our body. The more we understand this, the less we want to adhere to a particular religion. All religions look up to the same temple (synagogue, church…). This temple has many doors, but inside there are no separations. Above each door there is a sign that says: God, Jehovah, Allah, Brahma, etc. depending on the belief of the people outside. 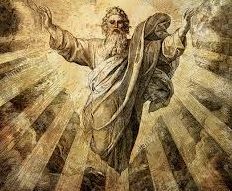 But there is always and only one Creator living in this house and it is always this same Creator who appears in these doors. The Creator is not separated from us; the Creator is the collective Soul of all – forever. Thus our desire to change the world, to put an end to the era of competition and violence and to begin the era of Peace, will manifest itself when our collective soul has this unified desire for Peace! This unified desire for peace does not need the subscription of the majority of the souls, because the intensity of a single soul is sufficient to awaken this desire in the Collective Soul and all other souls will naturally tune in and be turned on. 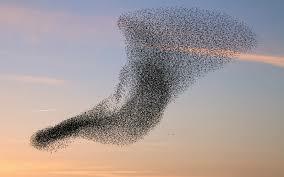 As a unified Humanity we will move like a school of fish or a swarm of birds, feeling the impulse to move all at once. And that time is NOW!